Mini Furniture Rehab: Day 1 - The Petite Provisions Co. 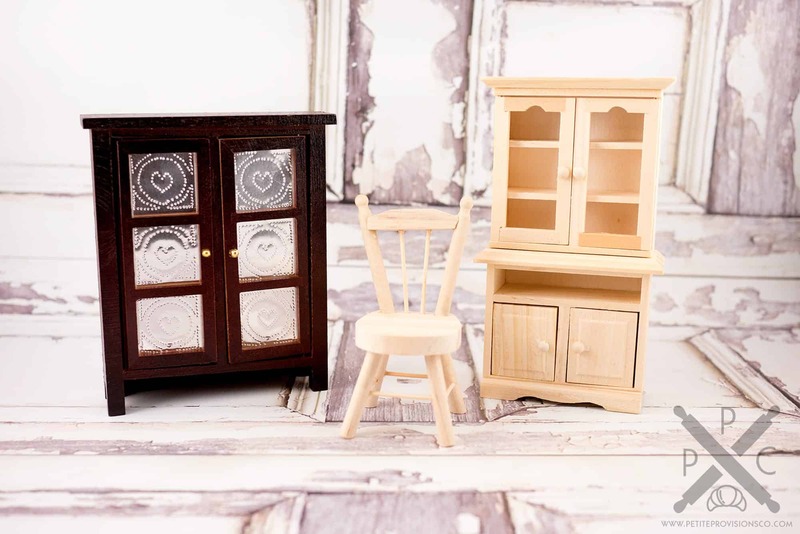 I came home from Hobby Lobby today with three pieces of mini furniture in desperate need of a makeover. I decided to tackle the mahogany pie safe first! 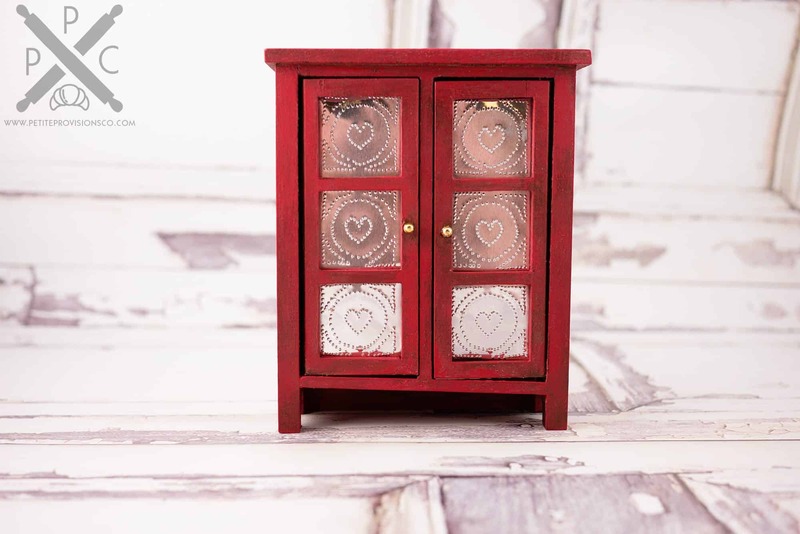 I used FolkArt Home Decor Chalk Paint in Imperial, a really pretty red, along with the Antiquing Wax. The end result is a really vintage, shabby and rustic finish that I’m in love with! Much better than the mahogany, don’t you think? 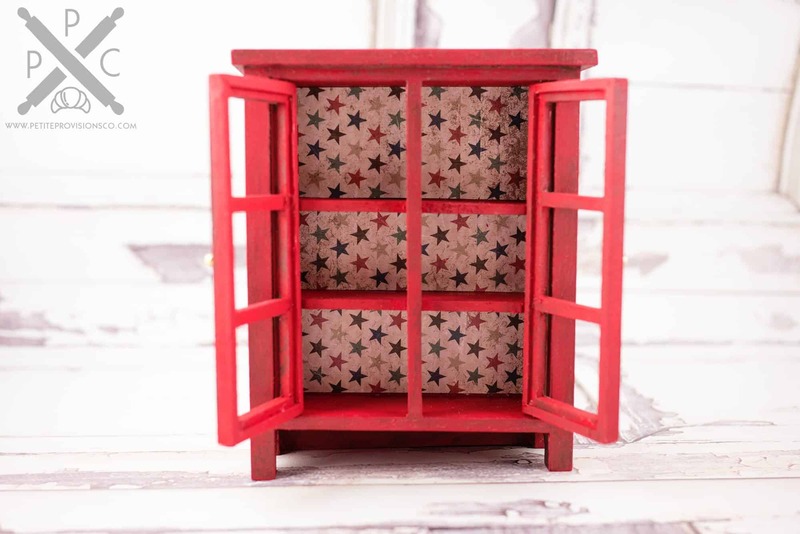 For the inside, I used Mod Podge to decoupage a grungy star printed scrapbook paper. Now, I’m just left deciding whether to keep the tin door inserts or to replace them with clear acrylic so you can see the items I’ll eventually place inside. Thoughts? I’ll be keeping with the Americana theme so I can have this piece ready in time for the 4th of July!